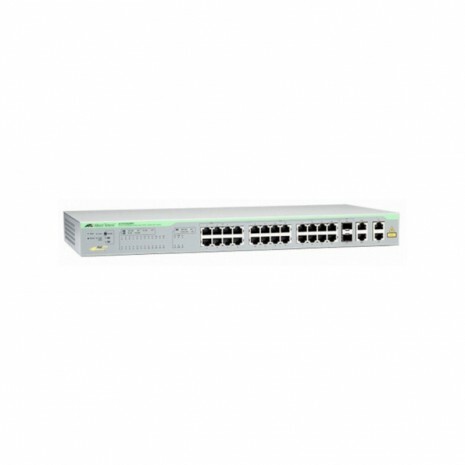 24 port 10/100TX + 2 port 10/100/1000T + 2 port 1000T/SFP combo WebSmart PoE switch. 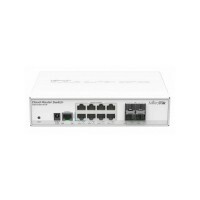 PoE support (up to 30W on ports 1-4). Auto MDI/MDIX, auto negotiation for all ports. Wall & 19 inch rack-mountable. 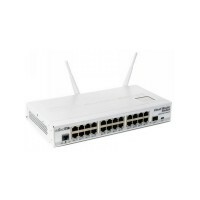 Allied Telesis AT-FS750/28PS WebSmart Switch memiliki fitur PoE+ untuk konektivitas dengan kamera keamanan, telepon VoIP, pembaca RFID, dan akses poin nirkabel. AT-FS750/28PS memiliki 24 port 10/100TX, semua port mendukung PoE. 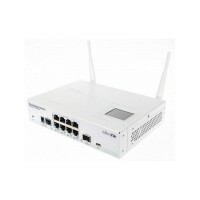 Port 1 – 4 mendukung PoE+ hingga 30W. Total daya PoE 193W di semua 24 port. 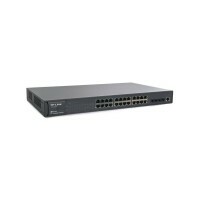 JetStream 24-Port Gigabit L2 Managed Switch with 4 SFP Slots. L2/L3/L4 QoS and IGMP Snooping. 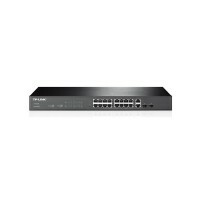 ACL, 802.1X Authentication, Port Security, IP Filtering, Storm control, DHCP Snooping, IP Source Guard and DoS Defend. Single-IP-Management supports virtual stack of 32 units. 1U 19-inch rack-mountable steel case. 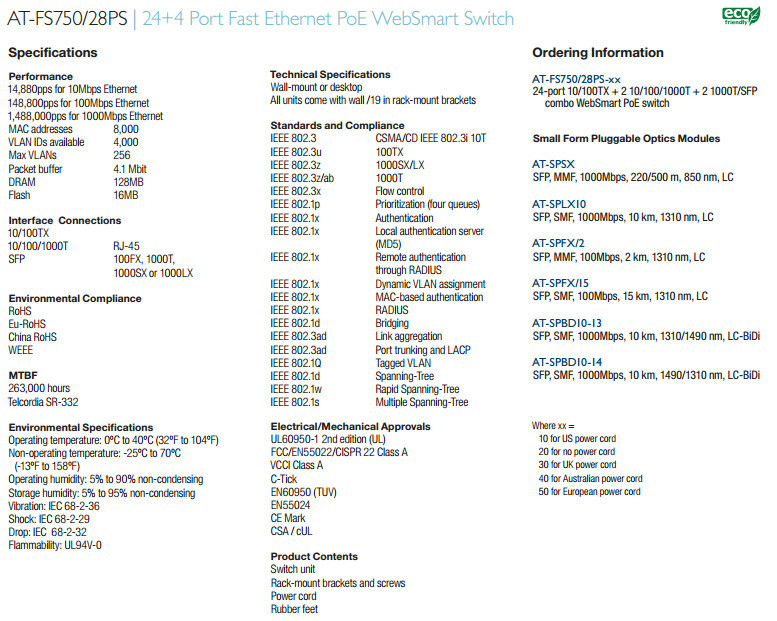 24-Port Gigabit Smart PoE+ Switch with 4 Combo SFP Slots. Total PoE power budget of 180W. Level 2/L3/L4 QoS and IGMP Snooping optimize voice and video application. 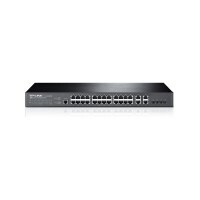 Integrated security strategy including 802.1Q VLAN, ACL, Port Security and Storm control. 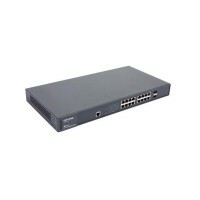 1U 19-inch rack-mountable steel case. 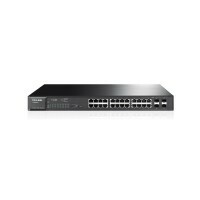 JetStream 16-Port Gigabit L2 Managed Switch with 2 Combo SFP Slots. L2/L3/L4 QoS and IGMP Snooping. IP-MAC-Port-VID Binding, ACL, Port Security, DoS Defend, Storm control, DHCP Snooping, 802.1X Authentication and Radius. 1U 19-inch rack-mountable steel case. JetStream 48-Port 10/100Mbps + 2-Port Gigabit + 2-port Gigabit SFP Slot + 1-port Console L2 Managed Switch. IP-MAC-Port-VID Binding, ACL, Port Security, DoS Defend, Storm control, DHCP Snooping, 802.1X Authentication and Radius. Level 2/L3/L4 QoS and IGMP Snooping optimize voice and video application. 1U 19-inch rack-mountable steel case. 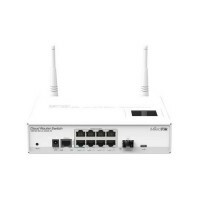 16-Port RJ45 10/100Mbps + 2-Port RJ45 Gigabit + 2-Port Combo Gigabit SFP. Level 2/L3/L4 QoS and IGMP Snooping optimize voice and video application. Integrated security strategy including 802.1Q VLAN, Port Security and Storm control. 1U 19-inch rack-mountable steel case. 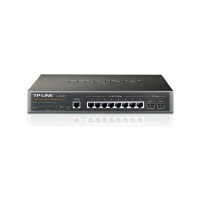 JetStream 24-Port 10/100Mbps + 4-Port Gigabit L2 Managed Switch. Level 2/L3/L4 QoS and IGMP Snooping. 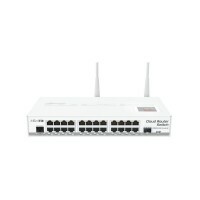 ACL, 802.1X Authentication, Port Security, IP Filtering, Storm control, DHCP Snooping, IP Source Guard and DoS Defend. IP Clustering allows up to 32 units. 1U 19-inch rack-mountable steel case. JetStream 8-Port Gigabit L2 Managed Switch with 2 Gigabit SFP Slots. Level 2/L3/L4 QoS and IGMP Snooping. IP-MAC-Port-VID Binding, ACL, Port Security, DoS Defend, Storm control, DHCP Snooping, 802.1X Authentication and Radius. 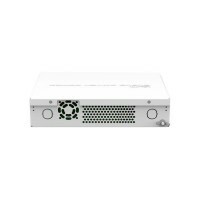 1U 13-inch rack-mountable steel case.